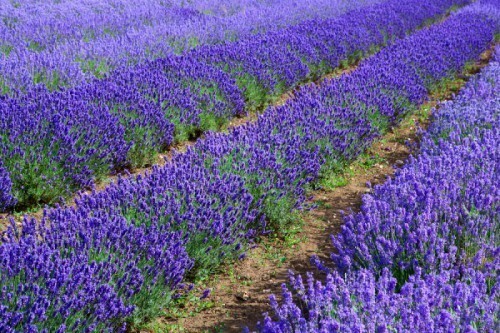 Let’s turn fields of plastic into fields of lavender! An Invitation to Daily Deliberate Action to Decrease the Damage of Climate Change. I posted this blog a few years ago, but it’s just as timely if not more so today as it was then. The sinking feeling of helplessness after reading the March 31st New York Times headline: Panel’s Warning on Climate Risk:Worst is Yet To Come, was not new to me. The data reported by the United Nations Intergovernmental Panel on Climate Change, were also not new. What’s new is this invitation to the Moms in our community and anyone else who wishes to respond. We are after all a community of mothers and fathers. A very special community of mothers and fathers. Most of our children are yet-to-be-born. So they are, without a doubt, the children who will live with the catastrophic consequences of our complacency. The easiest thing to do after reading the United Nations report is to say: This is too depressing. Ugh, please, enough already about my carbon footprint. Someone will figure it out. Someone smarter. More qualified. An expert. A celebrity. A politician. What difference can my measly action make? We could choose that road. Or we could choose the road of pointing our hearts and minds, our feet and our hands toward—meeting a possible solution—halfway. No matter how impossible it might appear to us. Pledging to collaborate with the creative force and with each other through small,honest human-size inspired action. Birth is about the possibility of possibility. I say YES! to supporting organizations like 350.org and spread the word about the promisingly galvanizing documentary series The Years of Living Dangerously, but for this project let’s share what we, you and I, have actually done. My invitation to each of us is to describe in the comments section one—however small—action we have taken to lessen the damage we do to our common home. We can share the step we have taken once, or twice or as many times as we are moved to do so. I’ve been saddled by guilt observing the volume of plastic bags used in the produce section of our health food store here in Woodstock. So I intend to post my progress of the steps I’ve taken in that regard. Thank you, dear Visionary Moms for being part of our awesome fertilehearted community! I confess I am not the best at this but all your enthusiasm and commitment has inspired me to be more vigilant. One thing I read, which I’m going to do, is to put a basket for recycling in the bathroom as often (certainly in our house) stuff that could go n the recycling ends up in the general bathroom waste bin. Hi. Thanks for this post. I am laughing a little because I just read the Augusts blog entree and wrote a comment there that has a lot to do with conscious responsibility for the planet before I realized this blog post was specifically about environmentalism. So please check out my comment on the August 2017 blog entree in addition to this one. So as I reference in the other comment that my husband and I identify as environmentalists and he actually works for 350.org. He leaves Tuesday for Fiji to help a group of Pacific Warriors develop strategy to fight climate change as they are deeply under threat from rising water. As we make choices in our daily life we regularly take our carbon foot print into account (not with every move we make but it is very much part of our values and decision making) – reusable bags, second hand shopping, recycling, reusing, solar panels, bees, garden, vegetarian life style, hybrid car, but as I reference in the other comment in the August blog post the fertility journey itself has caused me to question if steps I am taking to get preganant are friendly to the the planet and if not how can I balance them out. I speak to a few specifics in the other comment. But I will add some other specifics here that I have tried or entertained. 1) clear blue easy ovulation monitor instead of the digital sticks. It is an expense up front but less plastic and electronics to throw away each month (each of the digital clearblue easy OPK is a little computer) and it is the same price after 3 or 4 months. 5)these days for me I think a lot about adoption (we are still trying to conceive) but I think about our adoption process which we are doing simultaneously and how this is a planet friendly approach too. Julia I am so glad you are steering the conversation in this direction. As always an insightful post and excellent reminder. I’ve changed a lot of my ways, mostly since meeting you, Julia! But as always there is room to grow. I take bags with me in every store, no matter where I’m shopping. I’ve switched to all glass or stainless steel water bottles, leftover containers, dishes, glasses, etc. I’ve changed all of my lotions, soaps, detergents, shampoo, conditioner, cleaning supplies, sponges as well as almost all the food I buy to products with less chemicals and more mindful of the environment. For example I shop at a local farm who is 100% self-sustainable. My employer has also converted to solar and uses a water system that eliminates waste. Unfortunately I work very far from home so my commute is a killer for me and the environment. We recycle almost all of our garbage and are lucky to live in a town that makes recycling and renewable energy a priority. Thank you again Julia for making us stop and think in all we do in life. Thank you for this reminder that we need to take care of the planet not just for ourselves but for our future children as well. I have been taking many steps in the past few months to reduce my impact on the environment. I try to remember to take shopping bags with me to all stores, even the drugstore and not just the grocery store. I recently purchased a set of glass containers to use for food storage after years and years of using plastic. I haven’t yet given away the plastic containers though, but it is something I will consider doing if the glass ones are enough. I try to donate and recycle as much as I can to limit what goes into the garbage and landfills. And a few months ago, my husband and I started composting because we were wasting a lot of water and energy putting food scraps down the garbage disposal and it seemed horribly wasteful. At some point we may start growing some of our own vegetables so that we are less reliant on grocery shopping, but that is likely to be next summer. One idea that I have seen a colleague do is to take containers to restaurants so that if there are leftovers to take home, he doesn’t have to take it home in containers that will go to waste. I haven’t quite managed to do that yet but it is something to consider because of how much the take out containers have piled up or have to be recycled. As others have said, there is always more that can be done and I look forward to learning more from each of you in this community. I read this blog a little while ago and have been trying to consider my personal contributions to a healthier self/environment since I read it. I live in NYC and and have been spoiled with a close commute to work, having most things conveniently at my disposal (at virtually any time of day), and being able to shop for groceries a day or two at a time. My husband and I are also people who truly love nature, who really appreciate the beauty of trees, mountains, ocean and sky. My husband will often pick up other people’s trash when he sees it littered somewhere it shouldn’t be. On another note, I am horrified by our current administration’s denial of climate change and reversal of actions that have been taken to preserve our environment. We need leadership that recognizes the danger in which we’re continually putting our planet. I also understand despite the current state of our government, each one of us has a responsibility to do our part. I feel like compared to some of the responses here, my contributions are small. But I see them as baby steps, and important ones that I plan to continue and expand on going forward. At any rate, I know they are positive changes for me. Thank you for this blog entry, Julia! And thnak you all visionayr mamas for your inspirative comments! You are so right, there is such a room and potential for change (and we do need a “Wave of Change”, more below) lying in each and every one of us. After reading your and all other blog entries, I can see how much more and better I can do. These are actually (often very easy) every day choices millions of people engage in repeatedly. For now, I try to de-plastify my life in the following way. Although I still have so much to throw or NOT to buy, that is for sure! But at least, I do not use plastic bags for shopping anymore, I use glass or bamboo rather than plastic whenever I can (drinking bottles, take-away food: cutlery etc.) separate the rubbish, I buy only organic cosmetics. Although I am from the city, we live in the countryside and I have to say that more connected I am with all the elements, nature, Mother Earth, more sick (even physically) I get when in contact with plastic materials, especially when found/seen in nature. I even start to recognize the discomfort when wearing them, most of our clothes are made of some kind of plastic anyway and my biggest challenge in this respect is to shop less clothes (a big challenge for being a woman who likes nice new clothes, I have to honestly admit). But I realized that few pieces of clothes made of (preferably) organic cotton, bamboo, silk, wool or alike will last much longer, and would have (hopefully) not such devastating impact. I so much understand what Hannah wrote, and thank you for being so open about it. I was recently in New York (and I was there many time before), but this time, it was the most difficult in terms of health impact. I really like NYC for a little while, but the constant noise and activity (of any big city) made me so tired and exhausted (and nervous!). I think it is a beautiful decision you made, Hannah. Although I do understand not everyone can (or wants to) make such a decision, but I just keep wondering whether people living for long periods in the biggest cities of the world are more adaptive (and resistant) than I am, I admire anyone living there for years and staying healthy and joyous and connected. I am sure there are many documents and surveys, but I can recommend a recent film about plastic, called A Plastic Ocean (We Need a Wave of Change). I is a documentary film which investigates the devastating impacts that plastic has caused to our environment. And, finally, when (NOT IF:-) I have a baby, I will (among other things) really try not to buy (tons) of plastic toys I can see around children of many of my friends. For them, for their health, for the health of animals, for the planet. Much love to you, Julia, to you, all mamas, and to our planet! Thank you for this post, Julia. It reflects your holistic and inclusive way of understanding this journey, which is so rare in the world of western medicine, let alone reproductive endocrinology. For the past 4 years I’ve been living in NYC, and it’s been extremely hard on my holy human loaf. While I enjoyed certain things about it, it wasn’t the same exhiliration I felt in the early 20’s living there– this time, I was taking care of my daughter and I have to admit, really struggling to stay balanced, receptive, or joyful. It’s hard for me to admit, but it’s been a little like an abusive relationship; every time I think I am ready to leave, I think of a reason I should stay, or I make up a reason that I have to stay in order to have x, y, z. My Ultimate Mom and Visionary know better, but boy are my Orphans strong. I identified that my nervous system was really perceiving danger most of the time. I am such a sensitive person (and my husband, too) that the daily stress of NYC living, even our “quiet” Brooklyln neighborhood, really ate away at my body and spirit over time. It was a little like the frog in hot water scenario, and I was so busy trying to make a safe and beautiful life for my new baby, that I let the tendency for overwhelm and stress to run me over. Ultimately how this manifested was a deep sense of being unable to access my creative power, which is something I’ve always felt I could access. Put simply, because I have been in a fear state, and definitely in fight or flight, I rarely was able to rest into the beauty and healing powers of mother earth, and it feels like a violence that has snuck up on me, a violence that I’ve been allowing. I will say that I have some amazing support–women who have held space for me as therapists and acupuncturists, and my own yoga practice–all of these have helped me to stay connected, despite everything. So it’s not as if I wasn’t caring for myself, and I do believe I’ve done my best while taking care of a growing person, but quite honestly, I need to make a bigger change. I need to honor my Mother Earth and my own intuition, my own beautiful body. All of it is such an exquisite miracle and I want to be more deeply aligned with my passion for nature and this wondrous planet. It might be possible for some people to live in NYC and embody health and healing, but for me at this time, it’s a violent act to continue to expect myself to flourish and thrive when I’m so disconnected to the earth I LOVE. I see the piles of trash everywhere, the angry people, the selfish behavior, the plastic bags given out in every single corner store (why?!!!!!! ), and I feel sick in my body. So, yes, I can focus on the many beautiful things about the city, and I can bring my own bags and compost my food, but ultimately, I feel the most radical healing I can take right now is to leave the city. My husband and I have been contemplating a move for a while, but there seems to be a window, and I think we are going to make the leap. I want to be able to see the moon every night, to breathe fresh air, and to align myself back up with the rhythms of the Earth. This feels like a deep recognition of something that lies at the core of my being, and it feels like a loving gesture toward the Mother. On a bigger level, I’m excited to share this with my community when I start teaching yoga again. In addition to these big changes, in my new home I want to make sure to compost, use very little plastic bags, and plan my grocery shopping better. I tend to get sooooo exited by fresh produce and often buy too much; i eat most of it but sometimes it rots in my fridge, which feels so sad. Thanks for allowing space for such a ramble! And thank you for your devotion to your truth; it is so inspiring. Thank you for your blog about protecting the environment and i wonder how my actions contribute to that. I take public transport and limit my longhaul flights whenever I go see my family once or twice a year. I try to live in a way that leaves any place ive been as I found it. I dont use plastic silverware or plates. And i dont eat much meat. Prefer to take a bag for groceries. On our holiday we washed dishes in an outside shower, where the water was heated by the sun. We didnt rent a car, instead our host picked us up at the ferry in his old twodoor fiat. From the airport we used the bus shuttle instead of a taxi. The imagery I did this week for healing the heart, and Nick and I did the watching each other body truth, whichc was extraordinary, each time was different and powerful. This has all been due to my fertility journey. Although my most recent miscarriage in May was devastating, it gave me a new perspective and hope that it is possible. So, I am continuing with the practice you suggested and starting to do imagery again (gently, not too crazed, as that is sometimes what I do..!). I feel so inspired and open to new things and to being part of my own journey, not hiding away, lamenting to myself about the fact that our lovely beautiful planet is being more and more destroyed by mindless human activity. I am being active now, acting on my feelings – and I want to be part of the gang who tries and tried to make a difference for our children and future generations, generally! So, here I am feeling utterly and totally inspired and I know that you and the Fertile Heart Visionary calls have helped me find this path. I am super grateful that you have spent so much time and energy to this practice and that you have spent so much emotion and energy to help me heal and move towards living a full and loving life. I am still hoping for my second baby to arrive and I feel like I am meeting him/her half way every day by taking these steps for my daughter and for us. Hi Julia, such wise words as always. It’s taken me a week to reply to this blog. Not because I’ve been too busy but because I’ve been slightly ashamed to come forward and admit that I do not pull my weight on the planet front! Having reflected on it for the week, I’ve made a commitment to do better.I realize, as with everything, take small steps at a time and it’s not so hard! In Ireland, we have been paying for plastic bags for many years and paying high levies for any non-recyclable waste etc For a little country we are pretty forward thinking. When I first moved Stateside I was shocked by the apathy towards the planet. Over time, I became accustomed to it and although I am adamant about recycling as much garbage as possible, I became lazy. I used to think, well if the US doesn’t do much to save our planet, what difference is a little dot of a country like Ireland going to make? I guess I then took on the same attitude of thinking, I’m only a dot like Ireland and was bit lax in a lot of areas…head-in-the-sand type stuff. But this blog and your work has reminded me that actually all the dots make up the big picture so I gotta get my act together and make my dot as high quality as possible! I bought reusable bags for the grocery store and I use them. I don’t buy plastic bottles of water anymore. As I say, I recycle as much of my domestic waste as I can. And thanks to ideas from the ladies, I am now going to buy fruit & veg from Farmer’s markets andI am just going to do my bit where I can! We certainly can do it together and we owe to our children. Thanks for this post Julia. I considered myself as kind of conscious in terms of the environment before I knew about Fertile Heart. I tried to reduce rubbish, did not eat junk food, reduced packaging and used re-usable shopping bags. But the Fertile Heart journey brought this to a completely new level. Every week I chose a Visionary rooted action which brought so many great changes. For example did we install a water filter, reducing rubbish from plastic bottles and giving us good quality water at the same time. We go shopping to a local market (bringing our own bags) and try to go organic wherever possible (which works for us about 50% of the time). We reduced our meat consumption to max 2 times a week & then have organic meat. I do not do take away lunches but make my own and bring it to work in reusable containers. In terms of cosmetics I also made huge changes. We use organic soaps. Also I realised that with some coconut oil, jojoba oil, some essential oils and natron you can get very far. Now I make my own toothpaste and my dentist told me I shall keep doing what I have been doing… no professional tooth cleaning is necessary at the check ups anymore which has never been the case before! In fact now I could eat my toothpaste. I think it might not taste great but it would not harm me (better don’t try that with the usual toothpaste as it would be toxic). I also make my own deodorant which has the same ingredients as the toothpaste (the only difference is that I use a different essential oil). I make my own organic beetroot blush, organic lip balm and mosquito repellent – also all edible :) . Nature has it all there. It is just to make a choice get started and experiment with it. It is also a lot cheaper than the mainstream cosmetics. I am very passionate about this and tell other people about it wherever possible and I hope it will also lead them to make a change. I am very thankful that my Fertile Heart journey has led to all this. There are so many snowflake steps we can take which over time will make the difference. Other people will take notice and will take snowflake steps in their own lifes. Hi LovingMum, I love this! would you perhaps be able to share your toothpaste recipe, as well as your other recipes for your deodorant and make-up, lip-balm & mosquito repellant? I have started a group on Facebook called “reduce your plastic footprint” and I would love to add the recipes there for the group (and me) to use. Thank you!! There are wonderful ideas in these posts. It makes total sense to care of and nurture ourselves, our children, our fellow humans and our Earth. In our faith it says (paraphrase) what we rely on for life is the dirt we tread on. We need to honor that. I have chosen to purchase some grocery bags and hand them to people entering a grocery store without a bag. It was a somewhat uncomfortable but rewarding experience.. I have been working with Supporting Ovulation Fertile Heart Imagery and Out of the Trap Fertile Heart Body Truth. I’ve been transitioning into the new job with some fear and some excitement. I’m currently experiencing some hitches getting on board which hopefully will be resolved soon. I feel very blessed to be strongly supported by co-workers and supervisors in my previous job for this move. I have definitely improved my footprint by recycling everything possible including clothes and always using my own bags when I go shopping. I also cycle to work when I can. BUT… I realise, after reading this and others’ responses, I could do much more!! I reckon I cut could down the amount of recycling I have to do by picking items that don’t have packaging in the first place. I must make sure I am more organised in the morning or get out of bed half an hour earlier so that I can always go to work on my bicycle. I Must invest in a water filter so that I don’t have to buy bottled water. I feel like these 3 steps are a starting point, they are manageable and realistic for me. I have often sat here daydreaming about my baby and how I will try my utmost to use cloth nappies when he or she arrives. Nappies are a huge disposable problem and seeing as we’re all in this to meet our baby, we should think about how we’re going to deal with that problem. My mum did it and so will I. That’s my pledge for my unborn child. It’s funny–I was talking with a friend the other day about how I haven’t really “learned” anything from this fertility journey that I didn’t know before. But then not more than an hour later, I was discussing how much “cleaner” I am now vs. 2010. And it hit me: I have learned A LOT ever since my miscarriage in 2013 and joining Fertile Heart in January 2014. In fact, what I do now to benefit me and the planet are things so natural, I honestly don’t really think about them much anymore. For a while, I only did these things to get one thing: a baby. But somewhere along the way, I realized there’s a bigger picture to all of this. I shop (perhaps too much! Damn you, summer peaches!) at the farmers markets. I am on a first-name basis with farmers at all three of our local markets. 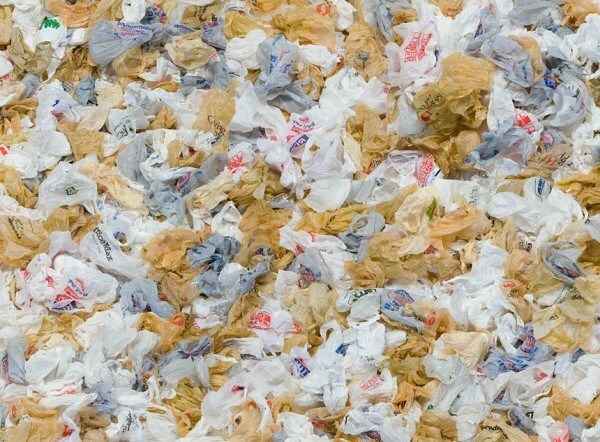 I have scores of reusable bags, from sacks to thermal totes, that I use to shop with. I frequent the Environmental Working Group website to see how cleaning and beauty products rank before I buy or use them. I adore essential oils and always study up on how best to utilize them. I ditched body scrubs and perfumey lotions for natural soaps and coconut oil. I use organic/toxic-free dye on my gray roots (because that is as green as I will get when it comes to that. I love Mother Earth and all, but there is no way I’m going totally gray in my 40s). What floors me is how it was JUST as easy to get and utilize things that are good for my hormones and environment as it is to buy the more toxic stuff. And I feel better, look better (no more cystic acne from heavy and chemical-laden makeup) and know that even if my new toxic-free shower cleaner isn’t going to give me a baby, it will help me live a healthier life in a healthier world. There’s always more that I can tweak, too. Like Tiddalick mentioned, she uses cloth coated in wax instead of Saran wrap. I didn’t even think of that! So now I’m on Amazon, looking for products that fit the bill. I am learning–and learning to accept–that this practice is about much more than having a baby. I am sorry to miss this session of the Visionary Mamas. With summer winding down for us, things are getting busy, money is getting scarce and my soul is craving a time out. I am on a two-month break from any fertility treatments (due to insurance and doctor’s schedules), so I am taking this time to dive in to my individual program, practice, write and figure out my next Visionary step. But I won’t lie–I feel lost without the calls! As for not learning or getting anything from your journey, here is what you wrote in 2010, actually that was the first time you joined us. I was careful to omit anything too personal, but I thought it would be great for you to see that in fact you’ve come a long long way and not just because you’re “cleaner.” You got to have your son, remember? As always you are teaching me and the rest of us an important lesson: It’s so easy to forget what we once wished for, after we got it and before we start wishing for more. “I am nearly done with “Inconceivable” and I am learning so much. Thank you for writing it!…I have been trying to conceive for nine months…I just completed my second (unsuccessful) round of Clomid…. I would like to participate in my first phone circle for numerous reasons. I want to know where I should go from here, and how I do it. Do I keep taking Clomid? Do I take a break? …Since I already have one child, it is hard for me to talk about my new, secondary infertility with many people. Thank you for allowing me to be your guest for this first call-in. I would like to attend the one on March 1 at 8:45 p.m. EST. Oh my goodness! I totally forgot about that! It doesn’t even sound like me. Wow! I have come a long way. You’re right. I look back now and think my quest for my son wasn’t so hard. It was “only” a year, not the 5 I have logged for #3. I forgot how much I struggled for him. There is one thing I know this journey has given me: a constant knowledge that my kids are such blessings. It’s one of the most true and pure things in my life, this knowledge. Without this journey and FH, I’m sure I would have appreciated my kids, but I know beyond a doubt I would not have been so in awe of this role as mom to them. Every single day I just enjoy them. Because now I know how miraculous it is to have a child. Even when my son has the stomach flu or my daughter struggles with homework. There is never anywhere else I want to be but with them. (OK, maybe I would rather my husband take over with the throw up, but you get what I mean. Haha). It makes waiting for the third a lot harder because I KNOW how insanely amazing it is and I don’t want to miss it. But it also gave me the gift of knowing what I have and treasuring that. Thanks for the reminder that I’ve come so far and that I STILL have some of those same orphans who need some parental love and guidance (the one who wants to be told what to do, who can’t make a decision, who needs external affirmation to make a move). I miss our calls! I hope to be on the next session. Much love to you!! Thank you for blog. I have tried to do small things like bring cloth bags for shopping, only use water/vinegar or organic cleaning products, fragrance free soaps and shampoos, and when I buy water, buy it in only glass (not plastic) bottles. Also, I changed to BPA-free plastics and try and use mostly stainless steel and glass containers. Also, I only use organic products in the garden for fruit trees, etc. A lot of this I started in my fertility journey anyway but hopefully it will help the planet some too! Dear Julia. Thank you for today’s session. It was healing (and I admit also surprising for me), to see the courage that you took by following through and honoring your own desire to raise the bar for the circle. You are truly leading by example. It is so encouraging to read the comments here. I am not doing so great on helping the planet become healthier and I know this is my judging O speaking. But the V says I am taking steps in my own way. I take the public transport to work (no park and ride needed!). I now think before I step of the home, about carrying my own bag when going to shops that hand out plastic bags. For the last two months, I signed up on a website to donate to 350 org every month, and shared my action on Facebook. The contribution is automatic. As for my practice, I liked doing the Possibility imagery last week. I felt it land in a way different from before, in a good way. This week I started with Unconditional Gratitude body truth, and from tonight I want to work with the Canopy of Compassion. I don’t recall having done that before and it feels right. Looking forward to engaging with the practice and getting to know myself better, and to be more compassionate, self-loving towards myself – mind, body and heart. I was just in California last week and in Target they charged you if you wanted one of their bags if you did not bring your own. I love my own bags. I bring my Trader Joe bags with me wheenver shopping. They are durable and are able to hold alot more food than the the plastic bags. I grow my own little garden but like Bel I try and support the local farmers market for produce and meat. I have overhauled my bathroom products and cleaning products and using more enviromental friendly products for my body and the enviroment. It is a work in progess. It does start with all of us..but as they say you eat an elephant one bite at a time and if we each take a bite then we can do this together. Julia, it’s so amazing that you should post this, as I’ve found that my journey to meet my child halfway has also brought me to take a lot more positive steps to protect our planet. There seems a clear alignment between these objectives, for me. To share one example – I’ve been trying to avoid having our food in contact with plastics, because of concerns re BPA, phthalates and other toxins that might affect fertility. In doing so, I’ve bought (and use!) a whole lot of stainless steel food containers (to store food), cloth lunch bags (to use instead of plastic ones) and cloths coated in bees wax to use instead of plastic coverings for leftovers etc. And taking these small steps inspires me to want to take more. It absolutely does have to start with us! Thank you again for this post.